In this interview Vicky Vachon, Implementation Improvement Director at Good to Great Schools Australia, reflects on more than four decades of experience in education and how she overcame what she thought were insurmountable challenges with very low functioning students. How did you become involved with effective teaching? Years ago I was going to leave teaching. I was teaching with very, very, very low functioning students. In fact, very, very low functioning 14-year-olds with perhaps IQs in the 30s and 40s, and I was getting very frustrated – not knowing exactly what to do to make any kind of progress. That was in October. I did my first training in November and it was in language. I took a three-day training and temper tantrums in my classroom disappeared by January. There was only one temper tantrum after that and that was a day that I was away. I was teaching in an institution at the time and my focus was on language – teaching my students to talk and respond to instructions. Interestingly some of my students made improvements on standardized tests and were then eligible for group homes. Others were reunited or reconnected with their families. And so I learned through this program that the author really knew how to teach, really knew how to make those differences. So I went to Oregon, I went to study with Zig Engelmann, the creator of the program. And I stayed there and did my Master’s there and then came back and I was hired at the Hospital for Sick Children, where I taught classes in Toronto. In 1995, I returned to Oregon to complete a Ph.D. So that’s how I got started. Direct Instruction refers to a set of programs. Actually, I just read this because our mentor Siegfried Engelmann recently passed away, but he wrote over a hundred educational programs. We started with reading and writing all through primary and then grew from there. Some of the programs are remedial, so for students who are older but not yet achieving at grade level. The programs are scripted and highly structured. All DI programs are based on an instructional design that has been researched over 50 years, have been rigorously field tested with students and have been shown to be one of the most effective educational programs available. John Hattie has actually researched Direct Instruction and given it very, very high regard. What techniques and practices are central to effective teaching and Direct Instruction? All of the effective teaching practices, positive feedback, teaching to mastery… there are so many essential teaching practices embedded in Direct Instruction. The difference between Direct Instruction and explicit instruction is that DI programs are scripted to include all best practices making it easier for the teacher to focus all attention on students’ responses. Generally, there are two parts to instruction, the task and the format with which the task is taught. Tasks or what is taught changes as students progress through a curriculum. 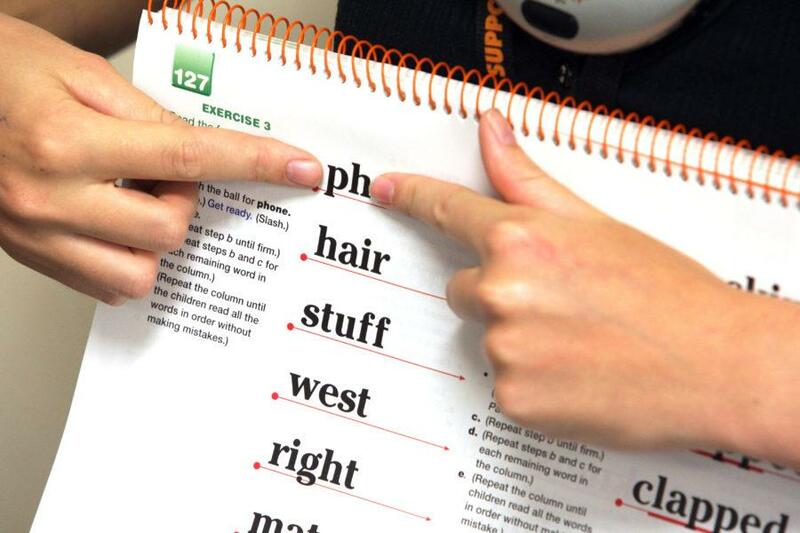 How it’s taught or the format for teaching similar tasks (sounds, words, spelling) is consistent so that students can concentrate on the task – the formats are familiar. So how we’re teaching (the format) is with scripted. It’s much easier for students to learn and progress. What kind of results have you seen from effective teaching? I’ve seen exceptional results. I’ve been involved with 80 plus schools and all of the schools I’ve been involved with have seen positive results. In Australia I’ve worked in Aurukun, Coen and Hope Vale. The first year in Aurukun, I met a young man who was a Year 4 student. He didn’t know a sound and could not read a word. He lacked so much confidence that he would walk around holding his teacher’s hand – he looked like a Prep student that year. He’s just graduated from an elite secondary school in Brisbane. He was just an incredible learner once we got him seated and learning. The results speak for themselves. Students make good progress. They can make a lesson a day progress with time allocated (and strong attendance). They can advance two to three lessons a day progress, or they can stay on the same one for a couple of days until they’ve mastered it and they can move forward. Each level corresponds to a grade level. What kind of feedback do you get from teachers? Teachers who were experienced would often not be very pleased when their school implemented Direct Instruction. And we would say to them, “Give it two months, do your best for two months and then we’ll talk to you about it.” After two months, we had no difficulty at all. None at all. They were sold. They had felt that their creativity was being challenged, but their creativity moved from trying to create lessons to looking at how students were learning – that’s where their creativity went and they loved it. For new teachers, it really assisted them in that they didn’t have to do elaborate lesson plans and they didn’t have to do all the planning and everything else that a new teacher typically has to do. They have the lessons there and when they learn to navigate those lessons and continue to follow them along they saw changes in their students that they never would have believed would have occurred at the start of the year. Find out how Vicky Vachon and other leading experts in evidence-based pedagogy support effective teaching implementation at schools around Australia.